Welcome to the Phi Store! 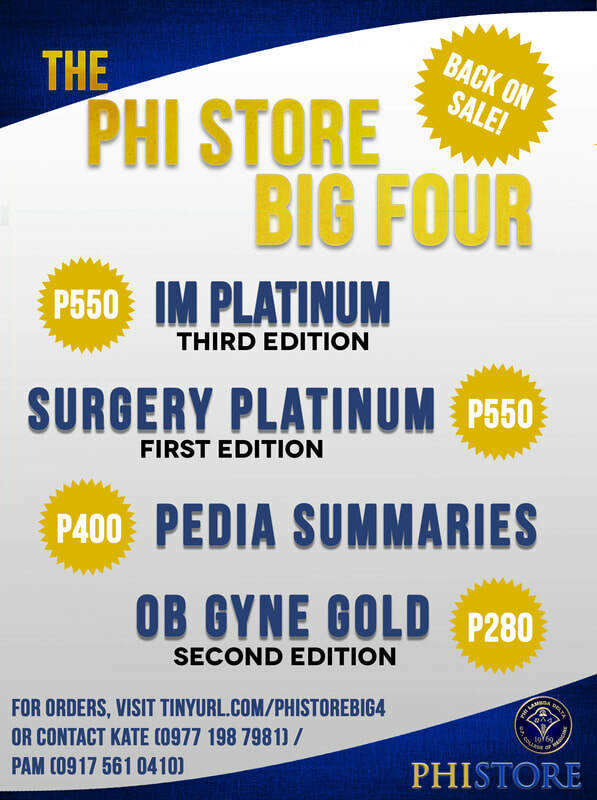 The Phi Store is run by the Phi Lambda Delta Sorority of the UP College of Medicine. It is the leading and most trusted medical books and supplies store that offers quality books and instruments at affordable prices to both medical students and professionals from different schools and institutions. We also accept bulk orders and customized package orders. For inquiries, you may contact Kate (09771987981), Lalaine (09999284261), or Pam (09175610410).